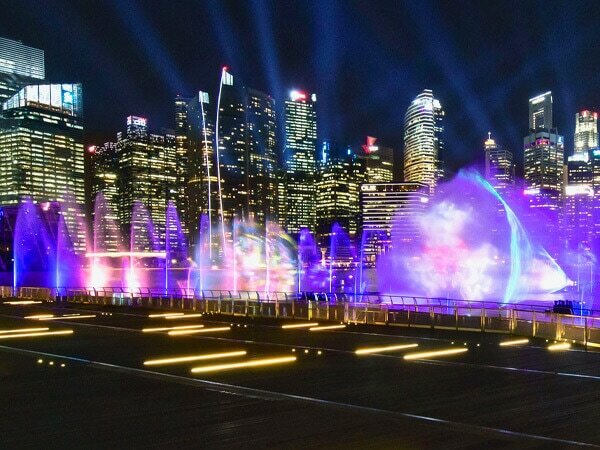 Discover some of the best things to see and do around Singapore's Marina Bay area, from free light and water shows to leisurely boat rides and great views. Take in panoramic vistas of the Marina Bay area, the vibrant colours of Gardens by the Bay and a bird’s-eye view of the Singapore Strait. Discover the magic of this free nightly outdoor extravaganza, displayed over the water at the Event Plaza. Each show is 15 min long. Showtimes may vary on special dates. Step beyond the boundaries of physical space as you watch shoals of fish gather in the ocean beneath you, and paint calligraphic art with your feet while flowers blossom in your wake. Visitors typically spend 30 min here. 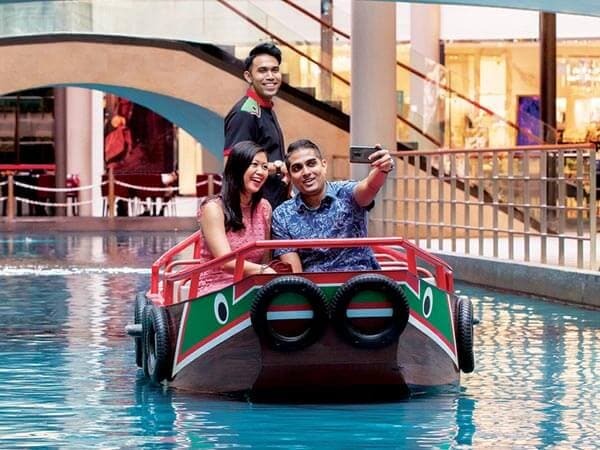 Take a leisurely ride along the Canal at The Shoppes at Marina Bay Sands in a beautifully crafted Chinese wooden boat. Step beyond the boundaries of physical space as shoals of fish gather in the ocean beneath you, and paint calligraphic art with your feet while flowers blossom in your wake. Art, design, architecture and technology come together at the ArtScience Museum. Expect cutting-edge digital installations that will entertain adults and kids alike. Visit one of Singapore’s top attractions, home to the world’s largest greenhouse. Watch the Supertrees twinkle to life during the free nightly show, Garden Rhapsody. Ride the largest Ferris wheel in Asia and enjoy panoramic views of the Marina Bay area and Singapore Strait. Snap pictures with the mythical mascot of Singapore at this tourist hotspot. Catch a free outdoor performance or view an exhibition at this multi-purpose arts centre. 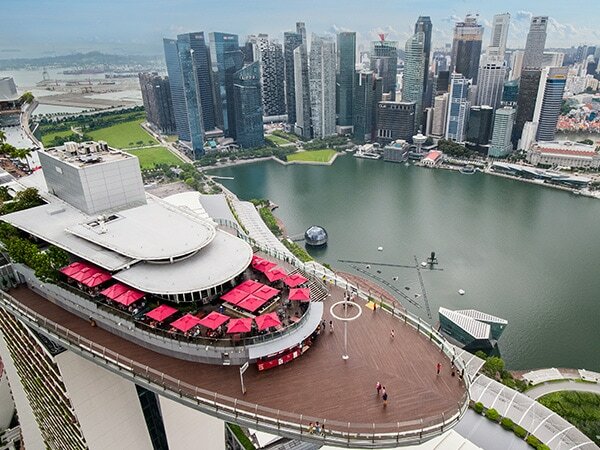 Head to the rooftop of Singapore’s largest catchment area for a spot of kite-flying and a unique view of the city. 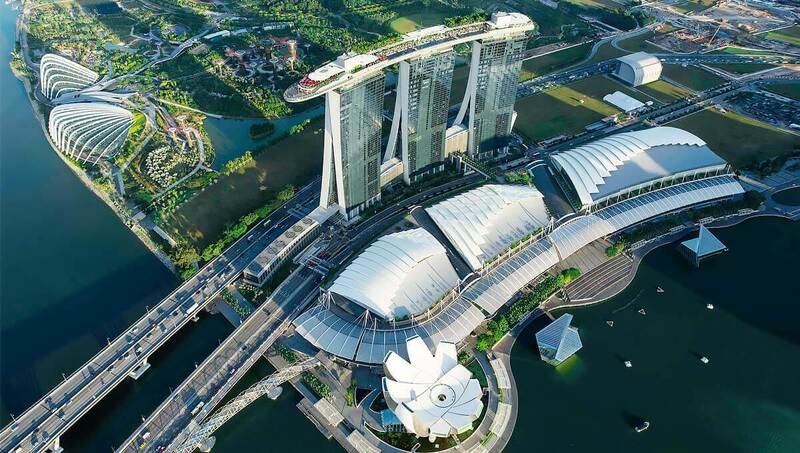 Whether it is a Michelin-starred meal or the quintessential Singaporean breakfast, you can find it at over 50 restaurants and bars in Marina Bay Sands. 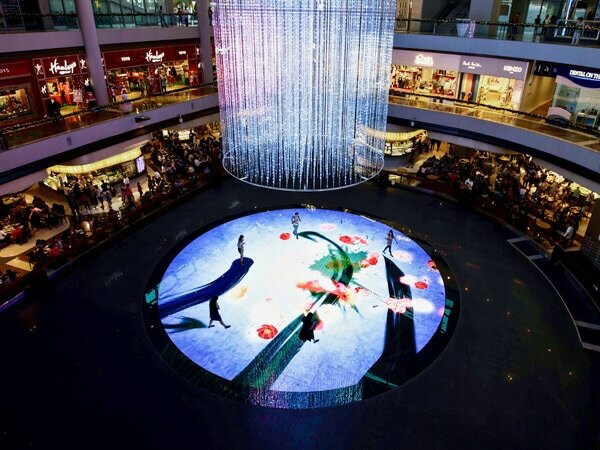 Explore Southeast Asia’s largest collection of luxury fashion, watch and jewellery brands. You will also find exclusive emerging labels and children’s collections.